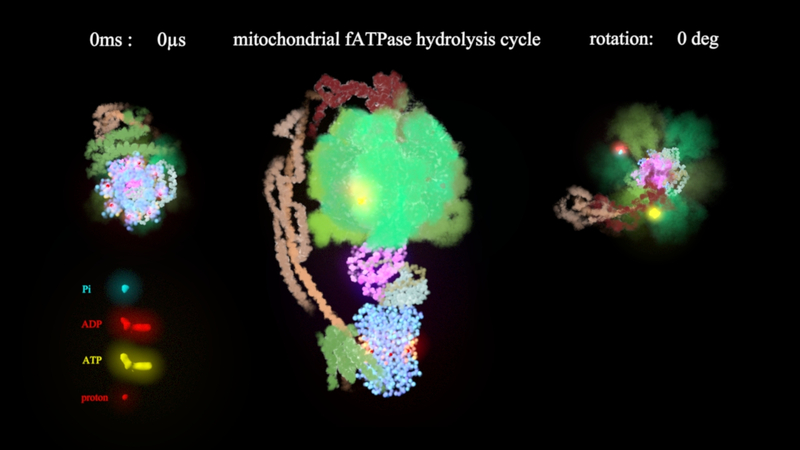 This is an image taken from the animation of a mitochondrial fATPase. These protein complexes are embedded in the inner mitochondrial membrane of all eucaryotic cells. They are of major importance to life in general as they create ATP, the molecule which drives nearly all energy consuming cellular processes. During ATP generation, the core of these complexes rotates around itself, thereby transporting protons through the membrane. One full cycle takes about 25 microseconds.